Drake in the Morning | What if Star Wars never happened? Kevin Feige, the Marvel head honcho who presides over what is the most lucrative and successful film franchise currently operating — including Star Wars — talks openly about how much of an impact the original trilogy had on him. The list of filmmakers who directly crib from Lucas would be like a census of Hollywood royalty. And the subsidiary industries that Star Wars has spawned, from toys to novels to video games, has changed how the entertainment business works. But when you eliminate the biases that come from living in a Star Wars-addled world and look back at the circumstances of its creation, what’s far more surprising is that the film got made at all. That a USC grad in his early 30s best known for a coming-of-age story about small-town America would conjure an original sci-fi cinematic universe out of whole cloth, when the precedent for such a thing simply did not exist. Investors paid for his bizarre, childlike vision. People went to see it. The release of Solo: A Star Wars Story just five months after that of The Last Jedi makes it clear that Star Wars has never been more ubiquitous than it is now; in fact, if Solo’s box office is any indication, audiences might actually be going a little sour on Disney’s attempts to turn the property from a touchstone of childhood and nostalgia into a never-ending modern-day cinematic universe like Marvel and its imitators. Considering that tension, it makes sense to wonder: What would the last four decades look like if George Lucas had never made Star Wars at all? 1977 comes and goes. Without Star Wars dominating screens, both William Friedkin’s Sorcerer and Martin Scorsese’s New York, New York gain enough of a foothold to become respectable hits. Buoyed by a more positive reception of Sorcerer, Friedkin receives financing to make an adaptation of Born on the Fourth of July, and Al Pacino wins an Oscar for his performance as Ron Kovic. Scorsese never hits rock bottom, which means he never deigns to adapt a book he has no interest in, Raging Bull; instead, with Marlon Brando available, he finally attempts to make a film based on the 1890 Wounded Knee massacre. But Brando’s a disaster, and the movie goes way over-budget and tanks. By 1979, Steven Spielberg is the sole king of the box office after Jaws, making the schadenfreude of the disastrous grosses of his war comedy 1941 even more potent. However, he never visits Hawaii on the weekend of the release of Star Wars with Lucas, which is when the pair would have come up with the idea for Raiders of the Lost Ark. Bereft after the failure of 1941 and without Raiders to distract him, Spielberg tries to make an adaptation of Blackhawk. When he can’t get it off the ground, the director dives headlong into a sci-fi film based on his childhood: E.T. the Extra-Terrestrial. Meanwhile, without the profits from Star Wars, which boosted the company’s stock price from $6 a share to $27 and increased year-over-year revenues nearly 50 percent, 20th Century Fox can no longer justify staying in the motion-picture business. Instead of Marc Rich and Marvin Davis buying Fox for $700 million in 1981, it sells for a much lower price to a group of investors who strip assets like property in Pebble Beach and shutter the film studio. 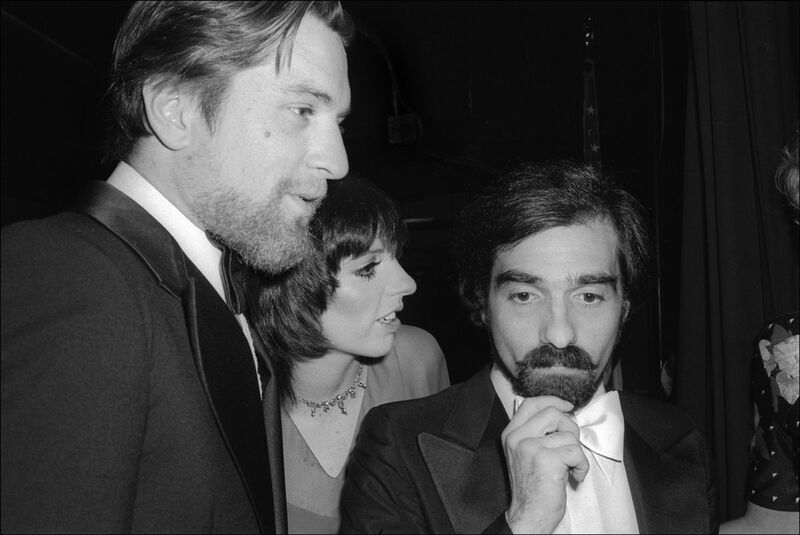 Robert de Niro, Liza Minnelli and Martin Scorsese in 1977. Scorsese, now at rock bottom, works his way out of depression when Robert de Niro agrees to star in a project he’s desperate to make: The Last Temptation of Christ. Lucas makes his Flash Gordon movie, which comes out the same year as E.T. and is received as a derivative, old-fashioned reboot of a property no one is interested in, particularly when compared with Spielberg’s epic. Frustrated by what he sees as a rejection by the public and Hollywood, Lucas retreats to the Bay Area, where he begins to make small, experimental films funded by American Zoetrope, which, unburdened by the expenses of a Coppola Apocalypse Now, manages to remain solvent. E.T. is a smashing success, returning Spielberg to the top of the heap. Studios begin to realize that there are two primary ways to make a megahit: creature features like Jaws, and kids movies like E.T. Sci-fi continues to be thought of as a niche genre, with the success of Alien attributed to its Jaws-like horror-movie aspects, though it receives a boost with the success of Ridley Scott’s Blade Runner, starring Jack Nicholson in the role of Deckard. (Harrison Ford, of course, remains a little-known carpenter after a stab at a Hollywood career.) Spielberg spends the decade solidifying his reputation as the premiere creator of childlike wonder, choosing to direct, rather than merely produce, The Goonies, Gremlins and Poltergeist, with the latter helping audiences think of him once again as an adult-oriented entertainer. The success of E.T. boosts the still-fledgling home-video market, where it becomes the best-selling title on VHS, which beats out Betamax. But home video doesn’t quite catch on, with adults still choosing mainly to see films in theaters. With the onset of the Reagan era, however, as well as the debacle of Heaven’s Gate, New Hollywood still sees its fortunes crumble in favor of more mainstream comedies and romances, the mood at the cinema ossifying into a less controversial mix of date-night films and children’s entertainment. Meanwhile, President Ronald Reagan’s Strategic Defense Initiative, un-slandered by any comparisons to blockbuster movies, gains more credence, provoking a late-decade reinvigoration of the arms race and a Cuban Missile Crisis-like scare in Turkey. But the technology is still effectively fiction, and President Bill Clinton moves away from the approach when he takes office at the beginning of the next decade. Read the rest of the speculation here!